Every Tuesday we recap the week that was in the NFL in a 4 Down format!! If you have any suggestions or want contribute to the site contact us at CouchCoachOnline@Gmail.com!!! 1st Down: Which Team had the biggest win/ worst loss in Week 3? Biggest Win: The Buffalo Bills as they shocked the Minnesota Vikings 27-6 ! After being outscored 75-9 in their first 6 quarters the Bills marched into Minnesota as a 16 point under-dog. The Bills defense held the Vikings to only 6 rushing attempts and 3 turnovers. Worst Loss: The Patriots losing to the Lions. The Pats fall to 1-2. The Lions defense held Tom Brady to only 133 yards. The Patriots defense allowed a Lion running back (Kerryon Johnson 101 Yards) to have 100+ rushing yards, which the Lions haven’t had a player rush for 100+ yards since Reggie Bush in 2013! 2nd Down: What’s the biggest takeaway in Week 3? The Future is now!! Rookie QBs Josh Allen & Baker Mayfield looked great as they led their teams first victory this season. Including this spectacular play by Josh Allen. In Week 4 all QBs (Mayfield, Darnold, Rosen & Allen) drafted in the 1st round expect for Lamar Jackson will start. 3rd Down: Who gets the Game Ball for Week 3? 4th Down: Who are the top 5 teams going into Week 4? 1st Down: Which Team had the biggest win/ worst loss in Week 2? Biggest Win: It’s definitely the Kansas City Chiefs as they defeated the Steelers 42-37 on the road. The Chiefs with two road victories over the Chargers & the Steelers are positioning themselves as AFC contenders. 2nd Down: What’s the biggest takeaway in Week 2? The Cleveland Browns should of won their 1st game since December 24, 2016 (this is not a typo) . Thanks to Zane Gonzales who missed 4 FGs ( 2 extra point attempts & 2 FG attempts ) including the potential game tying FG attempt vs the Saints. 3rd Down: Who gets the Game Ball for Week 2? 4th Down: Which (2-0) team will likely miss the playoffs,Which (0-2) team will likely make the playoffs? 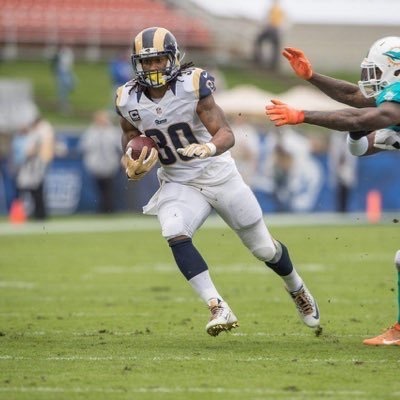 Miami Dolphins (2-0) -With wins over the Titans and the Jets, which aren’t head-turning wins are off to a great start. The Dolphins have a extremely difficult December schedule which includes the Patriots, Vikings & Jags. Houston Texans (0-2)- The Texans endured two tough road losses to the Patriots and the Titans. The Texans haven’t had a home game yet and they have a very favorable schedule including early match-ups vs Browns & Bills! EXTRA POINT : Who’s are top 5 teams going into Week 3? We’re BACKKKKK! Every Tuesday we will recap the week that was in the NFL in a 4 Down format!! 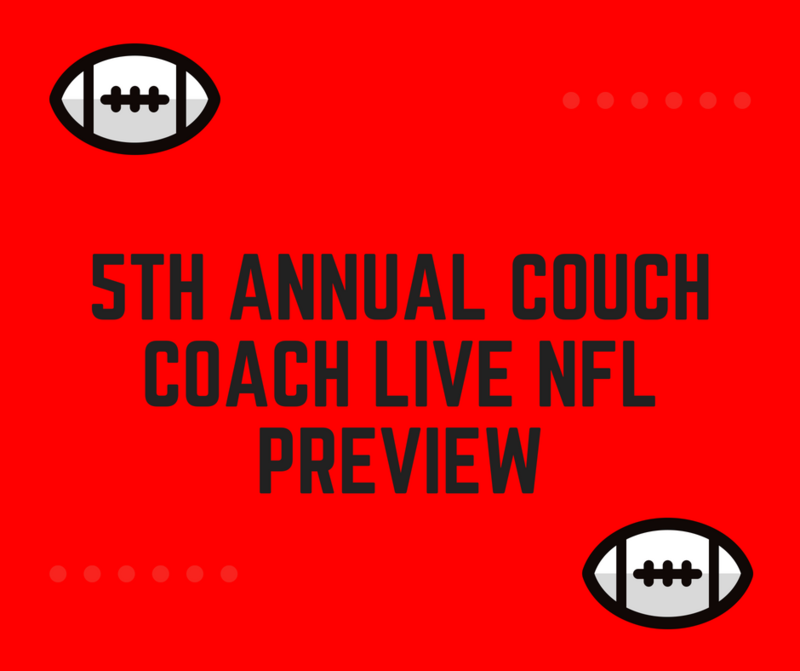 If you have any suggestions or want to contribute to the site contact us at CouchCoachOnline@Gmail.com!!! 1st Down: Which Team had the biggest win/ worst loss in Week 1? Biggest Win: Tampa Bay Buccaneers & the New York Jets who both shocked the NFL world as they both scored 48 points in their victories! -So I thought the Buccaneers would be win-less until Jameis Winston return from suspension…Wrong. The Bucs stormed into the New Orleans unleashing a offensive arsenal ( 529 Total Yards) and held the Saints to only 43 Rushing Yards. Worst Loss: The Buffalo Bills ! They got demolished by the Ravens 47-3! Can you believe the Bills made the playoffs and basically got rid of experienced QBs Tyrod Taylor and A.J McCarron in the same calendar year in favor of starter Nathan Peterman and Rookie Josh Allen. The Ravens defense held the both Peterman & Allen to just 70 passing yards combined! 2nd Down: What’s the biggest takeaway in Week 1? 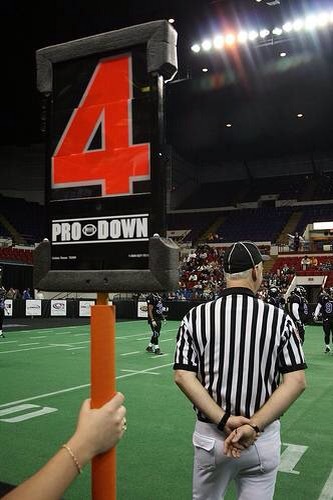 3rd Down: Who gets the Game Ball for Week 1? 4th Down: Which Week 2 match-up is the most intriguing? Patriots @ Jags : A rematch of last year’s AFC Championship .Both teams earned tough Week 1 victories and both are seeking supremacy in the AFC! The biggest question mark is the health of Leonard Fournette who is currently day-to-day. EXTRA POINT : Who’s your top 5 teams going into Week 2? 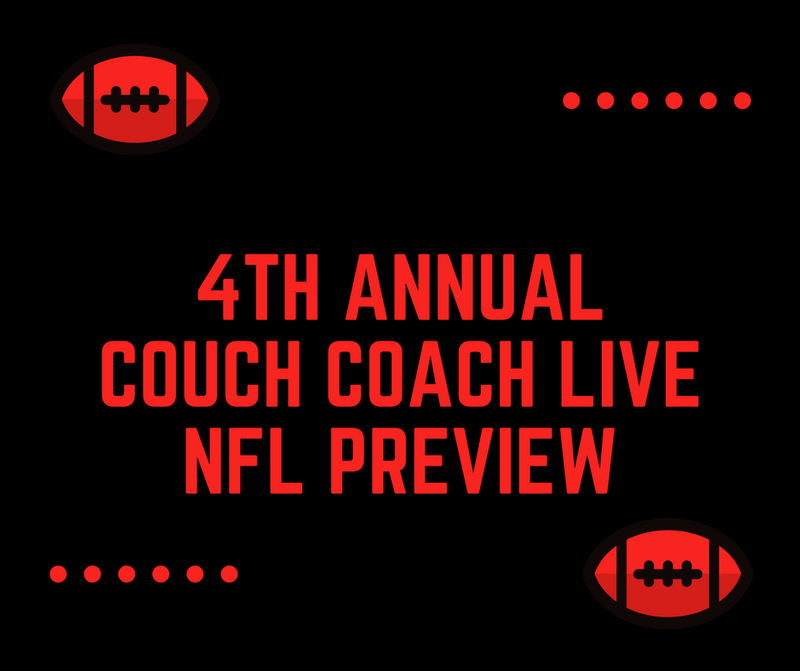 3rd Annual Couch Coach Live NFL Mid-Season Palooza Ballot ! – Super Bowl winner & more!